Having lived and worked in different parts of Africa for many years, we found ACE to be an exceptional volunteer opportunity. 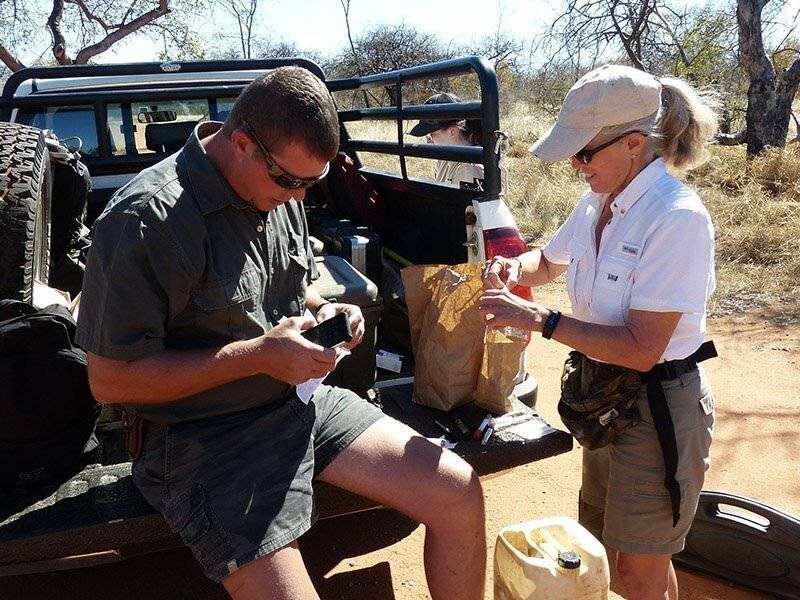 While there are many different projects one can be involved with through ACE, we choose to work with the wildlife veterinarians in Louis Trichard (Shimongwe) and on the Phinda wildlife reserve, focusing on wildlife research. These experiences got us up close and personal with many species of wildlife in their natural environments. No two days were the same. 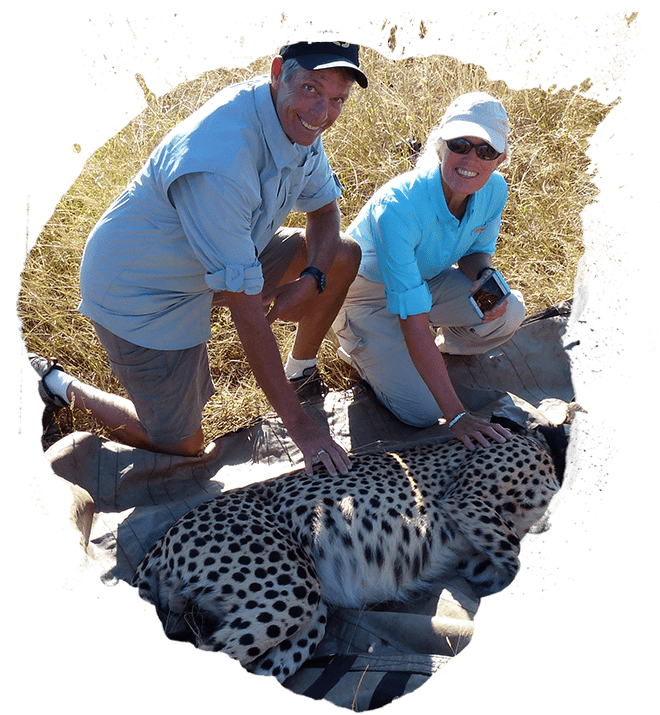 Whether tracking cheetah with radio telemetry or tranquilizing buffalo (or nyala, hyena, kudu, wildebeest,…..) we will treasure these experiences for the rest of our lives. 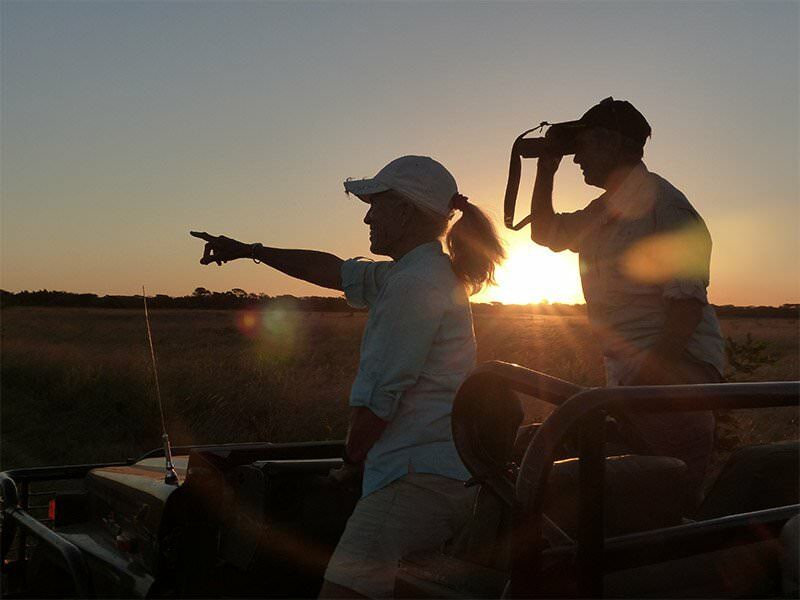 At Phinda our lives were enriched by the knowledge of our team leader in the many facets of wildlife management. We learned not only about wildlife and habitat conservation, but also were witness to the beauty of all of nature including magnificent star constellations on clear nights. 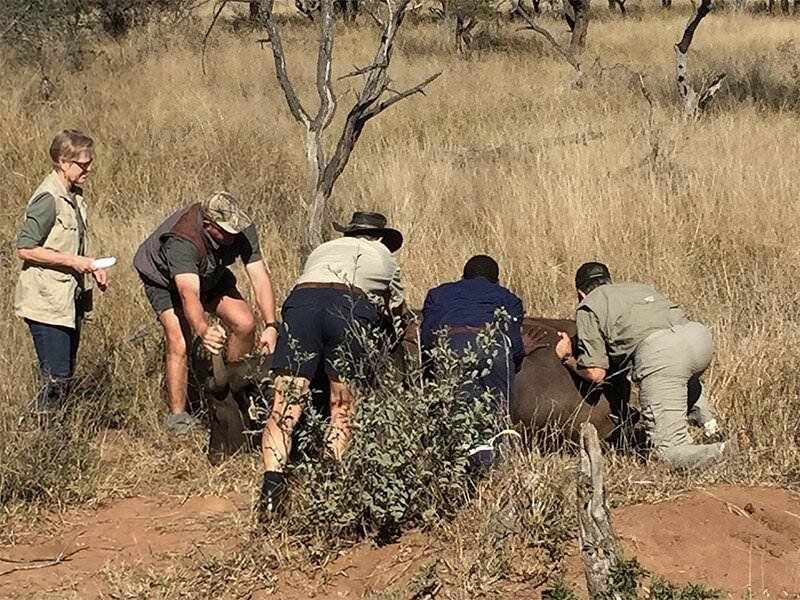 Some of the tasks we were involved with included animal identification, location, capture, and relocation. 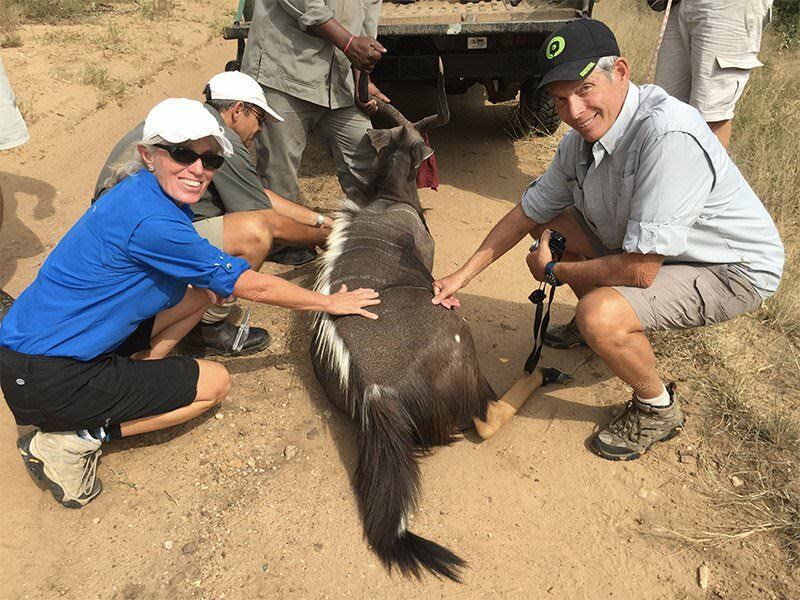 Working with the wildlife veterinarians at Shimongwe was AWESOME. 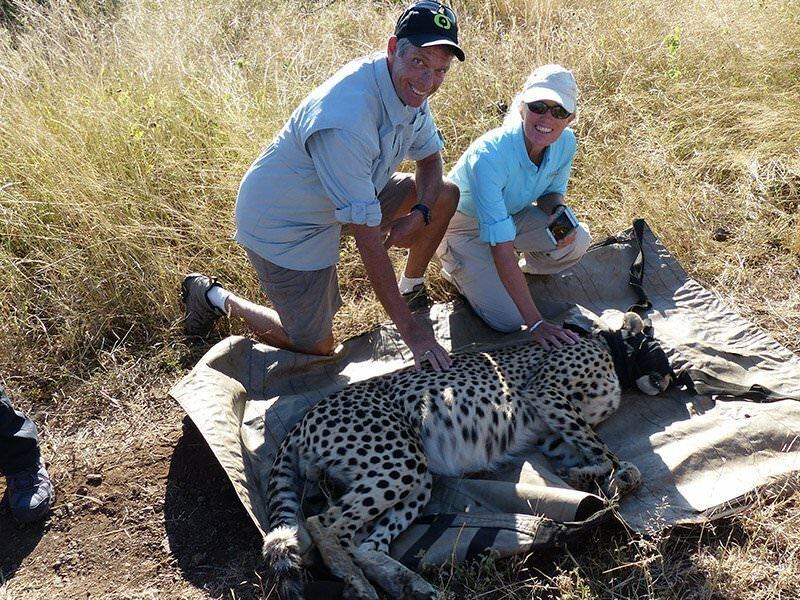 We were able to be a part of a team capturing wild animals for medical treatment, ID chip placement, and relocation. We also worked in their clinic with dogs, cats, and other various animals that came in the door needing medical treatment. The ACE personnel guided us through the whole process, preparing us for the adventure of a lifetime. They took care of every detail while in country….from meeting us at the airport (thanks Natalie and Martin), arranging transportation to and from our projects, and making sure our lodging and food was adequate at each project. As a testament to how much we appreciated this experience, we are not only bringing other people with us from the USA, but are adding on another project as well (Okavango) this coming year. 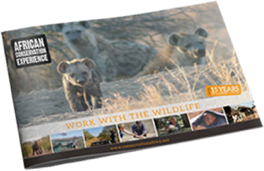 We have found this to be not only much more hands on than a safari, but also much more affordable. We highly recommend ACE !